Wow, this range is interesting. If you can dream of a cooking mode or feature (go ahead), the Signature Kitchen Suite (SKS) professional range will still have more than you just imagined. However, whether you should buy this range is a totally different thought process. In this article, you will learn who SKS actually is as a company. Then you will read about the different types of pro ranges offered today. You will also then look at the features and shortcomings of this SKS pro range. SKS is the premium cooking products of the giant Korean company, LG. LG is a highly advanced industrial conglomerate. Their vision for SKS is similar to Whirlpool's vision for Jenn-Air. They want to dominate the upscale US appliance market supplanting Wolf and Thermador. They plan on doing so with advanced functionality, which has been the weakness of American luxury brands to date. 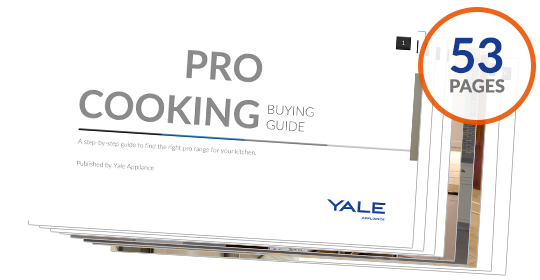 If you were to walk down the pro range aisles at Yale, there are three types of pro ranges to consider. The first product category is the restaurant-style range with no functionality of a clock and timer. 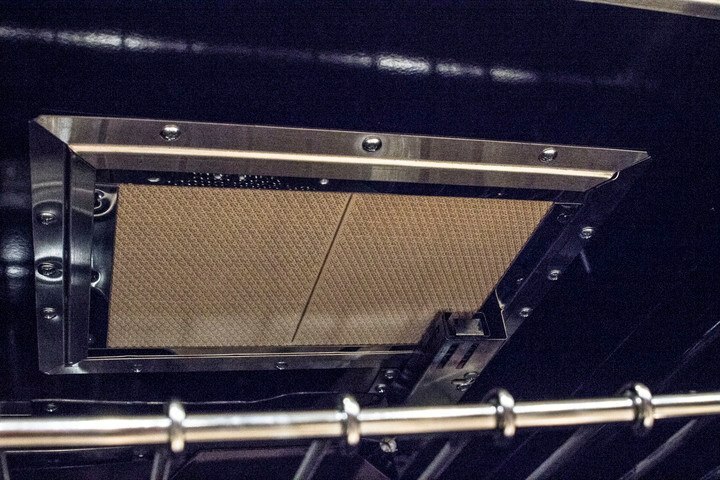 BlueStar tops this list with 25,000 BTU burners, and an 1,800 BTU infrared broiler. 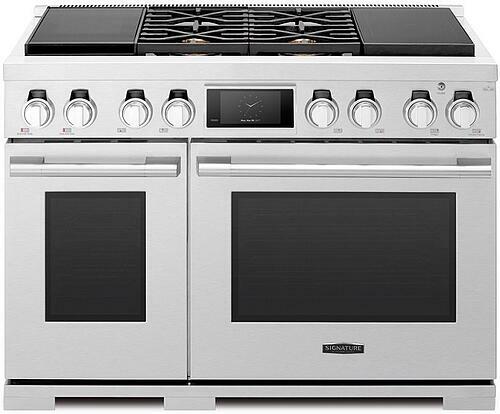 The Wolf all gas range as well as Thermador would be in this category as well. Then there are ranges with less power and more functionality like your range at home. Wolf dual fuel, Thermador Pro Grand, Miele all gas and Jenn-Air would be in this category. They have self-cleaning, clocks, and timers as well as other residential features. Finally, there are the highly technical pro ranges with steam or speed functionality, Wi-Fi capability and other advanced features. It allows you to cook differently like baking bread and automatically cook different foods through guided menus. Dacor, Thermador Pro Steam and Miele dual fuel would be in this group. SKS would be in this category. In fact, they would be more advanced than any range in this group. The SKS Professional Range Features: (all available in 48 inch, Some available in 36 inch). Now that you have attempted to digest that laundry list. Following are the real reasons to consider a SKS range. 23,000 BTU Burners: In terms of sealed burners, that ties Viking Brigade for the highest in output. They claim a 100 BTU simmer similar to Thermador. That’s a bold claim. It would need to be tested. Chromium Griddle: It is simple to clean and keep looking clean after repeated usage. Jenn-Air is the only other company with a chromium griddle. Induction Capability: Yes! Induction is still faster than that 23,000 BTU pro burner. Induction, like all-electric, is also the best to simmer because it can achieve the lowest temperatures. Gas flame will eventually extinguish at low temperatures. Only French stoves, like La Cornue, have both fuel types on their cooktops and ranges. Steam Assist: Moisture is great for hardening crusts and baking breads. 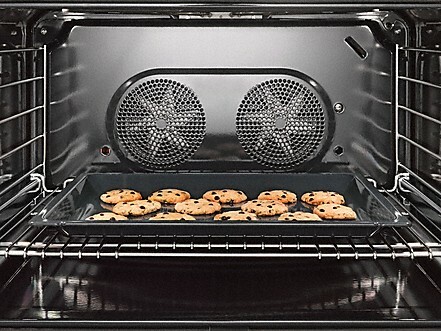 Miele has the same feature in their pro ovens. 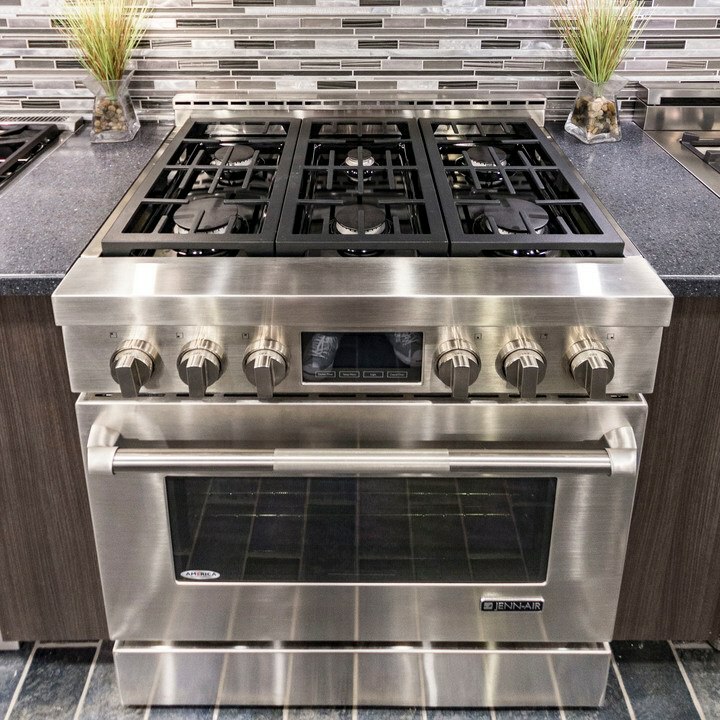 It is not a steam oven, so you cannot cook in steam like the Thermador. It’s an assist to a baking mode. 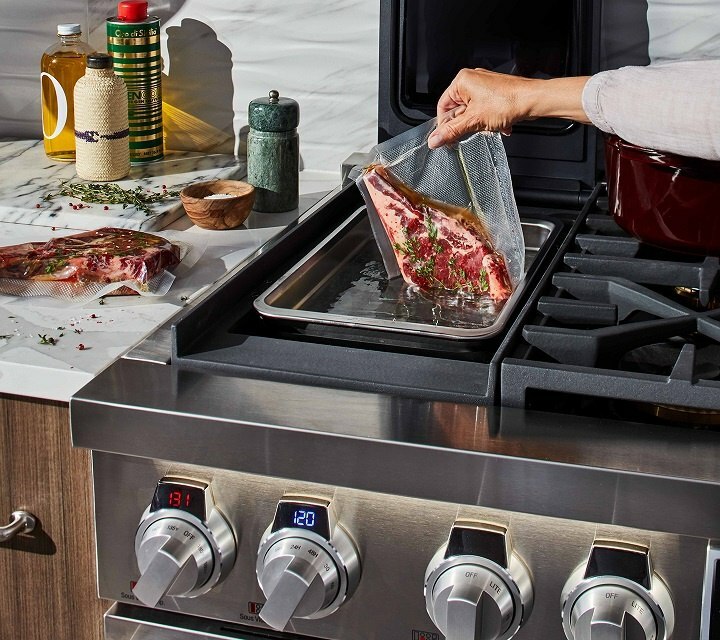 Guided Cooking: Wi-Fi capability, you can surf the web on your range and store recipes like the newish Dacor (owned by Samsung BTW). Bill Lange: Who is Bill? Bill Lange is the service manager and by far the best in this industry. He was tasked with the Concierge Service program of SKS. He will get it done eventually. You have a 3-year warranty with SKS plus a 5-day repair or replace guarantee along with a 2-hour service window. That’s very bold and unique to this brand. More about that later. As you can see SKS combines the best features of other ranges to this point. Now for the truly proprietary feature: Sous Vide. Sous Vide means under vacuum in French and is a new type of cooking you will be seeing. You vacuum seal your steak in a bag and cook it by water immersion. Sous Vide relies on internal temperature rather than time. The food is more flavorful in Sous Vide than any other cooking mode and the easiest to program. A few years ago I Sous Vide’ salmon in a dishwasher. The fish was delicious. No Grill: I do not see this as a big problem. Grills are tough to properly ventilate anyway. Guided Cooking: Some work, others do not. The Miele MasterChef is excellent and will walk you through a meal. Samsung has a great interface and pictures of food but that is about all. You are not guided anywhere to cook that lemon chicken in the picture (perhaps they have improved). Bill Lange: He may be the best, but he is not a magician. Two-hour service and Uber functionality of seeing our trucks on the road was a 3-year project for us. Offering this level of service with an incomplete network will be a problem for the near 1-4 year future. Should You Buy the SKS Pro? You would have to see it actually work first. We will power ours shortly. Many of these claims must be validated. If it simmers, steams and cooks as advertised, then you should absolutely consider this range. Somehow, I have my doubts because first generation products need to time to be perfected. However, LG along with Samsung is much larger than their competitors with far more resources. If they stay committed to building a great product, it will certainly be one of the best in the future.